It's the marvelous month of May—one that is widely recognized as Motorcycle Safety Awareness Month. Here at Edgar Snyder & Associates, we're not just motorcycle accident attorneys. 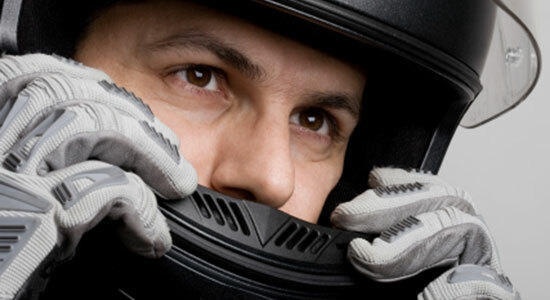 Many of us are motorcycle riders and enthusiasts just like you. In fact, we take motorcycle safety so seriously at our firm that we’ve even created Snyder's Riders, a community of motorcyclists committed to protecting themselves and their loved ones on the road. We seek to provide our members with the latest in motorcycle safety information, training programs, and accident prevention technologies every month. However, we have some special offerings this May—and we wanted to make sure all our motorcycle-minded friends knew about them. First, we wanted to cordially invite you to join the ranks at Snyder's Riders. Becoming a member is free and easy, and when you join, you'll receive a membership kit and be entered for a chance to win prizes. We also wanted to suggest you stop by the Snyder's Riders Facebook page, where we are celebrating with 31 Days of Safety. Each day this month, our safety ambassador, Hal Deily—a veteran motorcycle safety instructor, and someone who's considered an expert in the field of motorcycle accident safety prevention—will share video tips that will help riders of all experience levels improve their skills. Motorcycle Resource Center—It includes links to everything from proper riding gear to a safety checklist. Motorcycle Helmet Law Information—This resource includes not only the law in Pennsylvania, but in every state. Motorcycle Insurance Law Information—Here you can find out what your insurance obligations are under Pennsylvania law, as well as in every other state. Snyder's Riders members have access to a free motorcycle insurance review with an experienced motorcycle attorney. Motorcycle Safety Tips—Information on everything from motorcycle riding etiquette to construction zone riding. Motorcycle Training Programs Guide—Information on programs available to riders of every experience level. Trust us: Our motorcycle accident attorneys have seen firsthand the devastation caused by crashes. Don't be a statistic. Make safety your number-one priority every ride. We hope someone else's carelessness never makes you motorcycle injury victim. But if the worst-case scenario happens, please know that you won't have to go it alone. We're available 24/7 to answer your legal questions. The case review is always free, there's no obligation to use our services, and there's never a fee unless we get money for you.